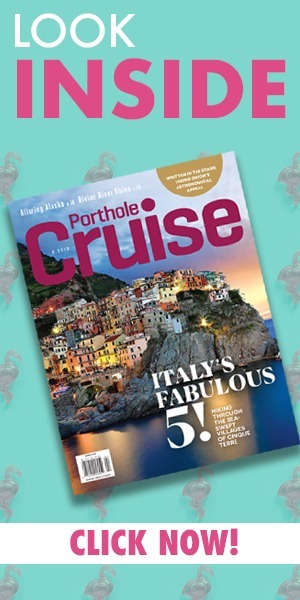 Here at Porthole, we talk with a lot of cruise experts about the do’s and don’ts of a cruise vacation. If you’ve never taken a vacation on a cruise ship before, you’re probably getting excited about heading out on the high seas, but, before you go, there’s something very important which needs to get done; packing! For the best packing tips, read on! We’ve spoken to cruise ship industry professionals and avid cruisers alike and their number one rule for having a great trip is don’t overpack. RELATED: Fashion Forward: Is your vacation wardrobe cruise-worthy? It can be tempting to try to fit an outfit for every day in your suitcase, but just because you have room in your bag doesn’t mean you have to use it. Too many people end up trying to cram in everything possible then end up not even wearing half of it. If you’re cruising the Caribbean or another tropical location, you’re probably going to end up spending half the time in flip flops and a swimsuit anyway! You’re going to pick up a few souvenirs on the trip, too, so leaving room is key. From trinkets for your friends to new clothing for you, there’s always something to buy when cruising the world. Here are some of our best packing tips from professional cruisers all over the world! Check the Weather! When you’re cruising Alaska, your packing list is going to look very different than a cruise of the Nile in Egypt. Lot’s of weather sites have extended forecasts which offer 10-day or longer insights into what’s in store. Roll, don’t fold. Rolling your clothes, t-shirts especially, can add a ton of extra space to your suitcase. And remember, dirty clothes always take up more space than clean ones! Stay organized. Making a list of everything you may need, then cutting it down from there is a smart way to limit what you bring. Planning with a list, no matter what the situation, is always going to help. I think the biggest mistake you can make is forgetting to pack your prescription meds because you might not be able to get a particular medication on the ship or at the ports you’ve visiting!! Cruised with an 82 yr old & she forget her meds when we all piled into a van to get to the port. Luckily – we were only an hour away, and went back to get her medication!! The cruise would have been over before it started!! Good advice! Also be sure to pack meds for a few days beyond your planned cruise length. We were reminded of this during our cruise last September that was interrupted by Hurricane Maria. Great advice! Thanks for reading Bonnie.